Flip through our 100 pages of Product Highlights & Government Offers. 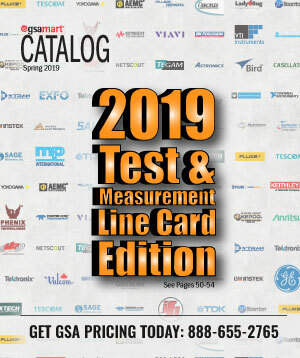 Check out some new products and promotions, plus the middle section featuring the 2019 Test and Measurement Line Card of GSAMart. Subscribe below to receive the quarterly GSAMart Digital/Paper Catalog. Copyright © 2016 Technical Communities, Inc. | All rights reserved.